Most of us visit it at least a half dozen times a day, but how many of us actively enjoy Facebook? Yes, it’s nice to see what’s going on in the lives of others and it’s always a thrill when the ‘Likes’ on something you’ve posted start racking up the numbers, but rarely do we end our Facebook sessions feeling happy or fulfilled, no matter how many cute doggo videos we’ve been presented with. It turns out that there’s a very good reason for this and scientists have proven as we’ve long suspected that using Facebook actually makes us sad. A new study by the University of California’s Holly Shakya and Nicholas Christakis from Yale has suggested that regular Facebook use actually decreases users’ happiness levels. That's not just because Facebook sugarcoats the world, only showing the best of peoples’ lives and making your own rough days seem worse. It's apparently also because no matter how many ‘Likes’ you get, it’s never enough. The research, which tracked 5000 US adults for three years between 2013 and 2015, compared users’ Facebook habits against information on their physical and mental health, weight, and general well-being. Worryingly, it found that for every 1% rise in the number of ‘Likes’, link clicks and status updates a user made, their self-reported mental health dropped by 5-8%. There’s a simple answer to these generally glum findings, however: use Facebook less and have more real world interactions. Looking at how Facebook’s impact compares with real world interactions, the study showed that actually meeting friends had the opposite effect, lifting users’ moods by a similar figure. 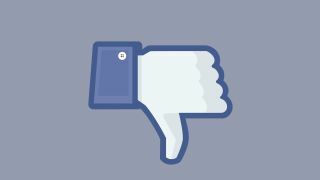 “The negative associations of Facebook use were comparable to or greater in magnitude than the positive impact of offline interactions, which suggests a possible trade off between offline and online relationships,” the study states. This is far from the first test to link Facebook use with lowering moods. Previously the social network has been link with rising rates of depression . Back in 2014 Facebook was even accused of deliberately manipulating users’ moods in an experiment that skewed their news feeds with a larger proportion of happy or sad content to see if they would post more positive or negative comments.